CHAA Program for the September 2018 through May 2019 season. Watch this page for updates. Please join us for an enlightening and entertaining series of talks. Light refreshments will be served after each program…of course! Most people thin of sourdough as a “flavor” of bread — as in, would you like rye, sourdough, or wheat with that? Or as sorcery — a huddled baker conjuring loaves from a burbling container of living micro beasts. Yet sourdough is both and neither. In its most basic definition, sourdough is simply the method of leavening and indicates how a bread is made. Stephanie Ariganello and Jeremiah Kouhia of the Mother Loaf Breads bakery in Milan will briefly explore the long and crunchy history of sourdough and the basics of how they make their long, cold, slow fermentation loaves. They’ll also dive into the most important aspect of producing sourdough breads: why. Margaret Carney, a member of the Culinary Historians of Ann Arbor and director and curator of the International Museum of Dinnerware Design will present “Well of the Sea,” all about the acclaimed seafood restaurant located in Chicago’s Hotel Sherman between 1948-1972. Why was dining there so memorable? Culinary historians may be captivated by the menu — bouillabaisse, rijstafel of seafood, cafe diable, and flaming rum punch. ; Mid-Century Modern art connoisseurs have fixated on the abstract undersea murals designed by Richard Koppe; while dinnerware collectors can not own too many place settings of the sturdy Shenango China restaurant-quality dishes with abstract fish motifs. Cuisine, recipes, restaurant reviews, menus, distinct dinnerware, architecture and interior design will all be presented. Why did Bogey and Bacall attend the funeral of the hotelier and restaurateur who made his idea of the Well of the Sea a reality? Were the ultraviolet lights, which enhanced the sensation of dining under water, really beneficial to one’s health? It’s your best opportunity to get the true flavor of the Well of the Sea and then wish you could go back in time and dine there. Curating the Ultimate Cheese Board for your Holiday Parties. Along with a festive cocktail, a beautiful cheese board is the best part of any holiday gathering. Cheese expert Michael Donnelly of Whole Foods – Ann Arbor walks us through the thoughtful consideration of cheese, of course, and all the embellishments — fruits, spreads, nuts, olives, charcuterie, bread, crackers — that make a cheese board the center of deliciousness and fun for all in attendance. Who needs an entree when a satisfying cheese board fulfills so many desires? And yes, there will be tastings. Nowadays, the Chinese are famous for their food—but not for their cheeses or for their dairy products. Scholarly and popular accounts explain this through biological and cultural factors—the prevalence of lactose intolerance and xenophobia, for example. Miranda Brown, Professor of Chinese Studies, U-M Department of Asian Languages and Cultures, shown stretching cheese above, challenges the popular and scholarly view through a mouthwatering tour of dishes composed of curds. Dr. Brown traces the long history of curds in China, demonstrating that such foods were regarded as delicacies by the elite, and account for their sudden and belated disappearance from the modern Chinese diet. The talk then concludes by exploring the modern legacies of the Chinese fascination with curds. Beginning with the earliest Arab immigrants to the U.S. in the 1880s, restaurants have been a staple of Arab immigrant communities. 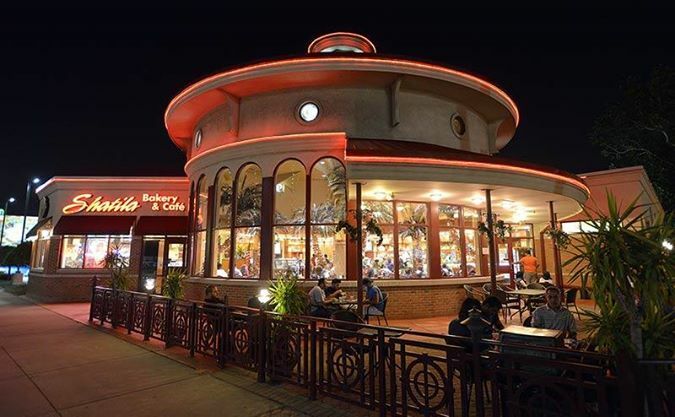 Originally meant to serve the Arab American population, the restaurants quickly became favorite spots for adventurous eaters. 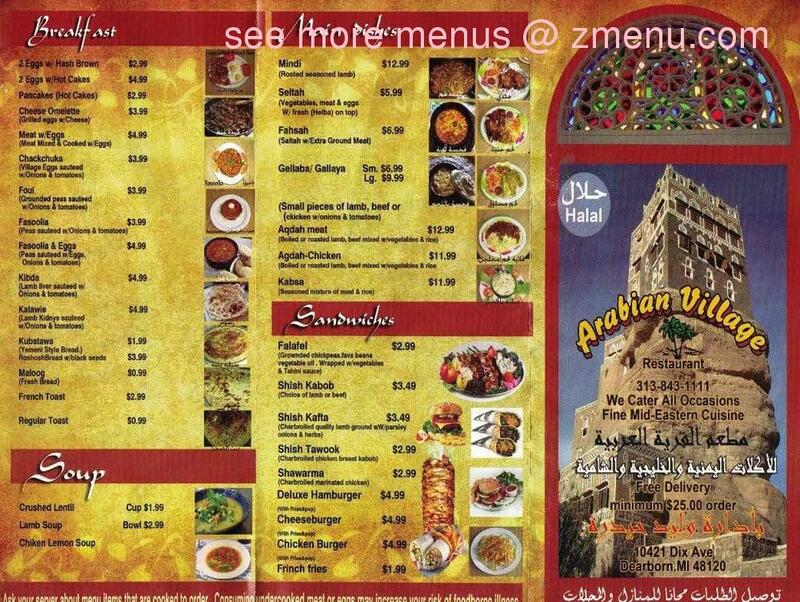 As Arab restaurants began serving more and more non-Arab diners, they transitioned from holes-in-the-wall to elaborately decorated and exotically named dining experiences. 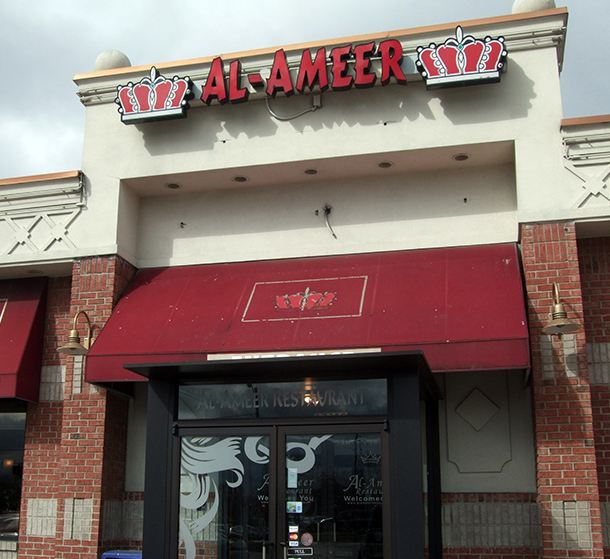 Today, there is likely to be at least one Arab restaurant in every small and large city in the U.S., despite the relatively small population of Arab Americans nationally. Matthew Jaber Stiffler, PhD, Research and Content Manager, and Ryah Aqel, Curator of Education & Public Programs, both of the Arab American National Museum, will trace the development of the Arab restaurant over the last 125+ years, with a focus on New York City and metro Detroit. Plowed Under: Food Policy Protests and Performance in New Deal America presented by Ann Folino White, Associate Professor of Theatre Studies and Directing and Head of Theatre Studies, Michigan State University. During the Great Depression, with thousands on bread lines, farmers were instructed by the New Deal Agricultural Adjustment Act to produce less food in order to stabilize food prices and restore the market economy. Fruit was left to rot on trees, crops were plowed under, and millions of piglets and sows were slaughtered and discarded. Many Americans saw the government action as a senseless waste of food that left the hungry to starve, initiating public protests against food and farm policy. White approaches these events as performances where competing notions of morality and citizenship were acted out, often along lines marked by class, race, and gender. The actions range from the “Milk War” that pitted National Guardsmen against dairymen, who were dumping milk, to the meat boycott staged by Polish-American women in Michigan, and from the black sharecroppers’ protest to restore agricultural jobs in Missouri to the protest theater of the Federal Theater Project. White provides a riveting account of the theatrical strategies used by consumers, farmers, agricultural laborers, and the federal government to negotiate competing rights to food and the moral contradictions of capitalist society in times of economic crisis. In 1896, Michigan consumers spent an estimated $23,000,000 ($690,000,000 today) on impure food products. Vinegars, spices, jam, cheese, coffee, and condiments were among the items tainted with additives ranging from benign to deadly. Local history writer Laura Bien gives an illustrated talk on the state’s history of food fraud and the efforts to quash it. 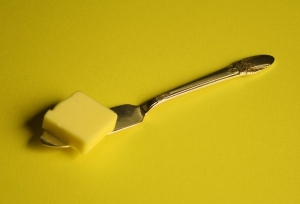 The delicious topic of butter will be the theme during Margaret Carney’s presentation “Butter Extravaganza.” Is there ever too much butter in our lives, recipes, and artwork? Of course there isn’t, so stories about butter, a celebration of butter, butter sculpture, butter dishes and related butter paraphernalia used in dining, and the International Museum of Dinnerware Design’s pop-up exhibition, Butter, will all be “on the table” for everyone’s enjoyment. Margaret Carney is the founder and director of the International Museum of Dinnerware Design, located in Ann Arbor. THE SEPTEMBER 2019 – MAY 2020 SEASON! A Rich Brew: How Cafes Created Modern Jewish Culture with Shachar Pinsker, professor, Judaic Studies and Middle East Studies, University of Michigan. Dr. Pinsker discusses his book A Rich Brew: How Cafes Created Modern Jewish Culture and the ways in which cafes provide a window into understanding modern Jewish culture and modernity: What it means for cafes to be sites of the production of Jewish culture, how cafes sold not just coffee but also a concept of modernity, and the transformation of cafes and Jewish culture. The book takes us on a tour of Jewish cafe culture in six cities: Odessa, Warsaw, Vienna, Berlin, New York, and Tel Aviv. In the course of the book, we see how Jews who migrated to cities gravitated towards cafes as important spaces and sites for producing Jewish culture. It’s a story of the global aspects of Jewish modernity, what it means to be part of the public sphere, and the ways in which cafes present an important backdrop to the changes and challenges of modernity. SAVE THE DATES FOR THESE 2019-2020 PROGRAMS!